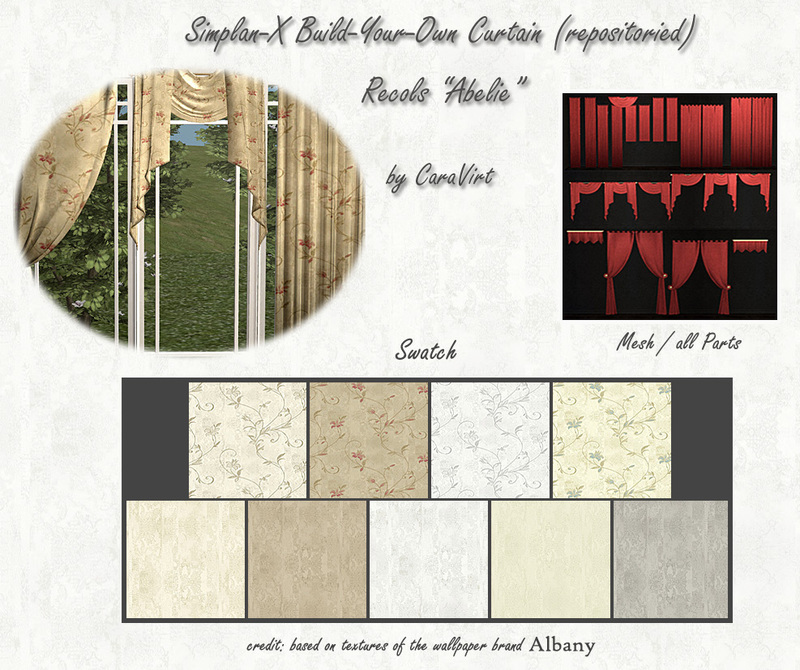 9 Recolors des "Build-Your-Own-Curtain"-Sets von Simplan-X (geschlossen) in der Repository-Version von Untidyfan. 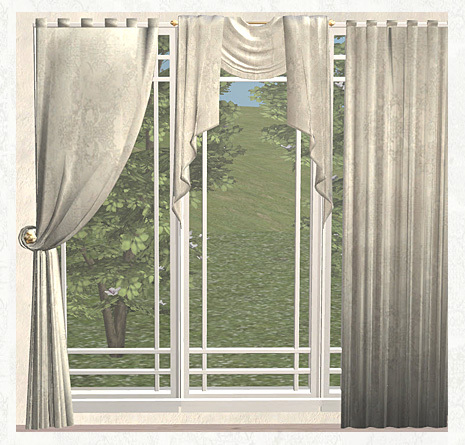 Die Meshes (Repository-Version) sind beigefügt. 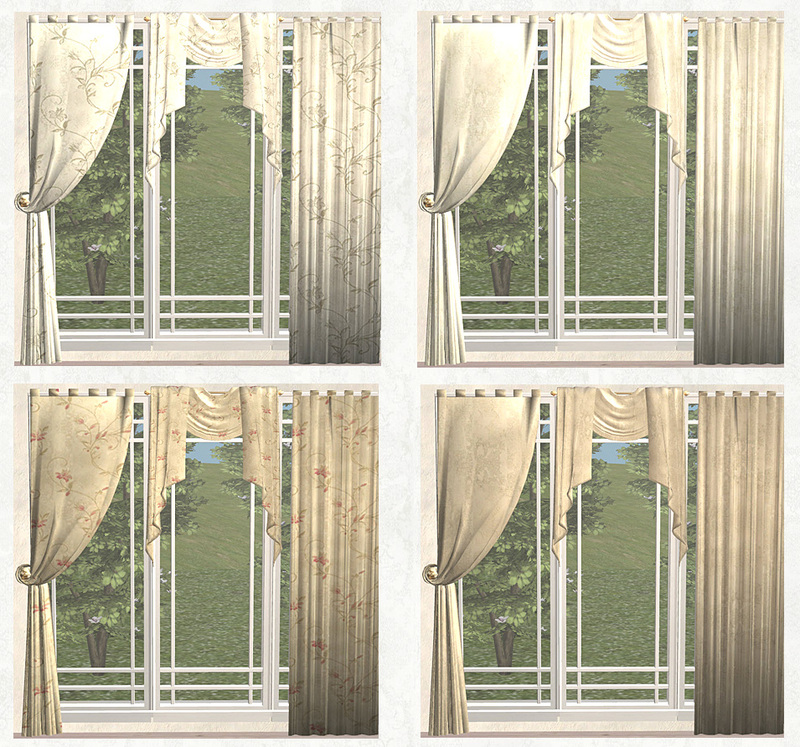 9 recols of the set "Build-Your-Own-Curtain" from Simplan-X (closed) in the repositoried version of Untidyfan. 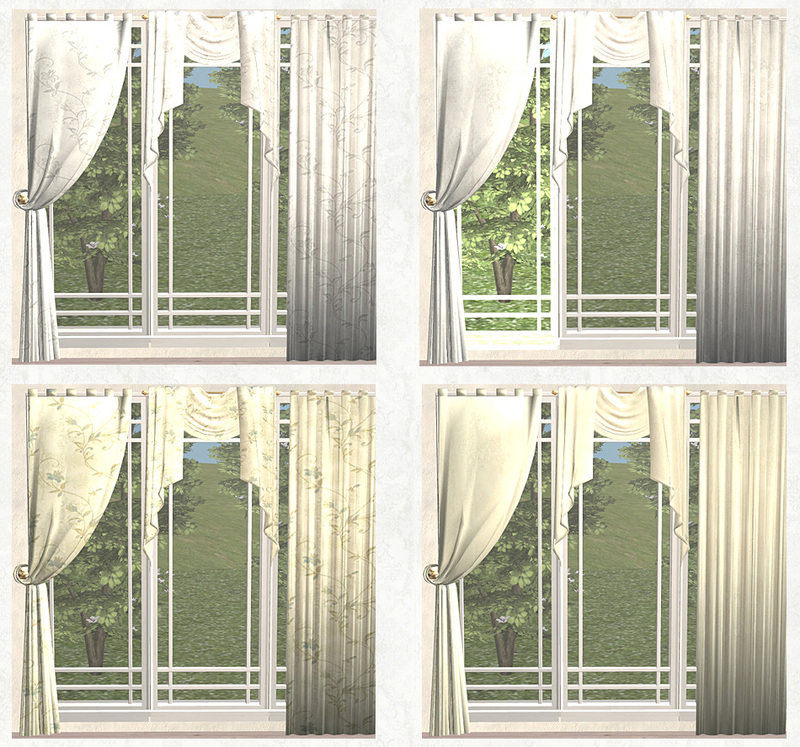 Meshes (repositoried version) are included.